What do you get when over 800 property managers join us for three days of industry leading insight, networking, and hands-on product support? Our favorite time of year, of course! Last week, the 5th Annual Customer Conference welcomed customers and market leaders from all over the country to The Fess Parker DoubleTree Resort here in sunny Santa Barbara for high-energy learning, networking, and fun. AppFolio CEO Jason Randall kicked off the festivities before welcoming David Rose, award-winning entrepreneur, MIT Lab Instructor, and author of Enchanted Objects, to clue us into the exciting and not-so-distant future of smart homes and the innovative products making their way into them. As a leading voice on the Internet of Things – the idea that everyday, household items can be upgraded into “enchanted objects,” like Nest Learning Thermostats and Keyless Smart Locks – Rose showed off the exciting possibilities of creative connectivity that can be a reality in your home and properties. In addition to three unique tracks with educational sessions, collaborative workshops, and the always crowd-favorite Genius Bar, the conferenced featured a “Home Smart Home” exhibit, a display of the latest innovations the tech world has to offer that property managers should know about. While smart technology has already begun changing the way we view household items and living spaces, popular voice-activated services – like the Amazon Alexa – have ushered in new possibilities for renters. For example, our VP of Product Management Nat Kunes demonstrated how renters could use Alexa to pay rent or submit maintenance requests to their property managers simply with a voice command. During the conference we announced the upcoming launch of two new offerings for AppFolio Property Manager customers. The offerings include AppFolio Renters Insurance, a new Value+ Service, and same day ACH, an enhancement to our existing Electronic Payments Value+ Platform. Here at AppFolio, we love to meet our customers face-to-face. We’re passionate about getting feedback, answering questions, and collecting ideas for improvement so we can help our customers work smarter (not harder!) and continue building a better future together with AppFolio. Not to mention, it’s a ton of fun! Check out all the action and relive the fun at #iheartappfolio on Instagram and Twitter, or flip through the Facebook Photo Album (tag your friends and colleagues!). To-Do lists are so popular they need no introduction. You’re surrounded by them: at the grocery store, around the house, even in outer space! It’s easy to see why these agendas are so popular. You list the items that need to get done on a piece of paper or a device, preferably in the order of most to least important, and then cross them off as you go, giving you a sense of real accomplishment. It’s a simple, elegant, powerful solution as to how to organize your days. But there’s a catch. Are you a high achiever looking for a next level productivity solution? Find relief from endless distractions and overwhelming to-do’s with Free to Focus™, my total productivity system designed especially for leaders and professionals. You can reclaim work-life balance — and up to 20 hours of your week! But public enrollment is only open until Friday, September 29, at 11:59 p.m. Pacific… so check out the Free to Focus™ course before it’s gone! Often, To-Do lists give you more items than you can reasonably—or even unreasonably—get done. What then? Enter the Not-to-Do List. I came up with this idea several years ago and keep coming back to it. Happily, several people have joined the not-to-do bandwagon. The idea is to list all of the activities you are intentionally going to stop doing for the sake of greater productivity. And here’s why that’s important: As you succeed at work, you attract more and more assignments. It’s like you become a task magnet. But people are a finite resource. You only have so much energy and so much time, no matter how good you are. The only way for a super-productive person to continue to grow professionally without going crazy is to periodically decide what you are not going to do. This is particularly important when you have just been promoted to a new job. That’s when you really face the pressure to perform, and it’s the most difficult to say no. But you must say no if you are going to say yes to the things that really count—both in your job and in your life. Keep in mind that the great risk for most people in new jobs is that you will continue to do your old job. Probably because it is familiar. And your supervisor never said you had to stopdoing it. Being aware of this dynamic is half the battle. How Do I Create a Not-to-Do List? The other half of the battle is to sit down and physically create your Not-to-Do List. Here are the steps I suggest to make that a concrete reality. Find a quiet place where you can think. Look at your previous month’s calendar activities. Write down anything you’re not sure really fits your current job description. Look at your upcoming appointments for the next month. Write down things that are questionable in terms of your current job description. Go through your to-do list(s) and do the same thing. Write down the questionable activities, given your new role. You should now have a list of Not-to-Do candidates. 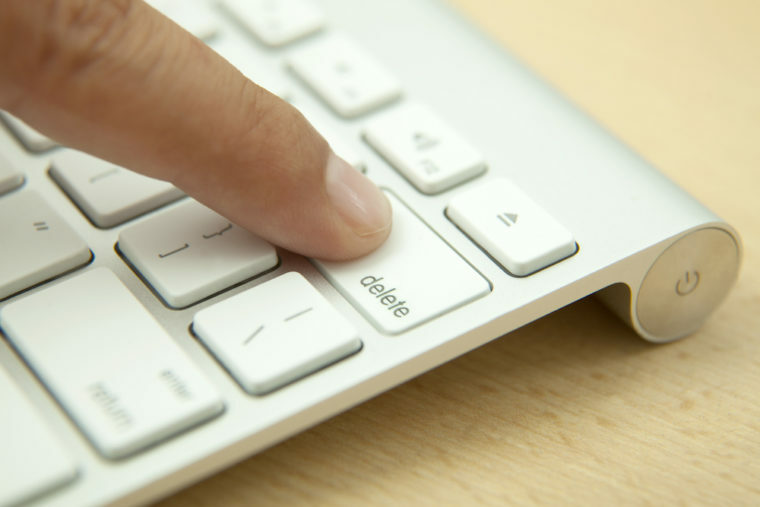 Now go through the list and put an asterisk beside each item that is significant enough that you want to add it to your official Not-to-Do List and shove it off your plate. Once you get your list done, share it with your colleagues and your assistant, if you have one. They can help you screen out tasks that no longer belong on your To-Do list so you can focus on the things that are most important to the organization. It’s especially important to discuss your Not-to-Do List with your boss. You’ll need her buy-in so she doesn’t keep assigning you work that you have mutually agreed is no longer what you ought to be doing. Just to give you some idea of what to include, here is the Not-to-Do list I wrote back when I became CEO of Thomas Nelson Publishers. It prepared me well for that job and for later success as founder of Michael Hyatt & Company. Review book proposals or manuscripts for possible publication. Negotiate contracts with agents or authors. Meet prospective new authors unless they have significant brand potential. Attend publishing meetings unless the topic is vision or strategy. Travel by car to other cities unless they are less than one hour a way. Check my own voice mail. Respond to (or feel the need to respond to) unsolicited sales pitches or proposals of any kind. Attend process review meetings unless there’s a compelling reason for me to be there. Attend trade shows for more than two days. Serve as a director on more than two outside boards. You don’t have to be grappling with a new role to find the Not-to-Do List extremely helpful. If you want balance in your life, you want a Not-to-Do list. Remember, the To-Do list tendency is to grow and grow. If you don’t periodically take a machete to it, your To-Do list will eventually crowd out everything. So get yourself a Not-to-Do list and swing away. Trying to make sense of Nest’s new product announcements? Start here. 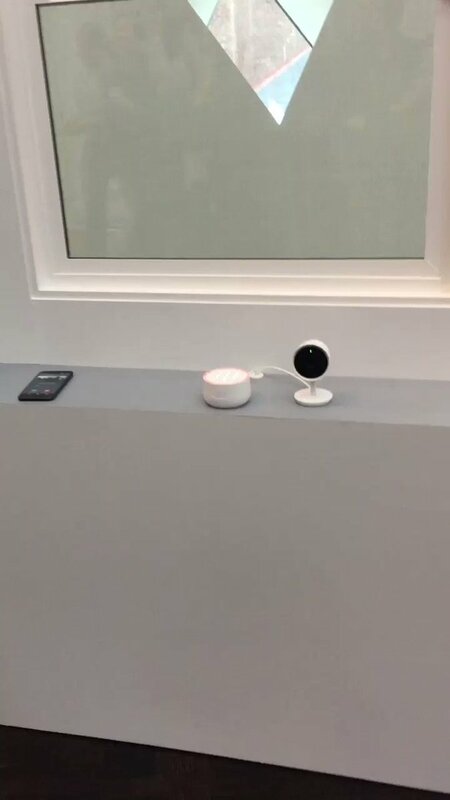 Nest debuted a bunch of new devices at last week’s press event — the Nest Cam IQ Outdoor security camera, the Nest Hello smart doorbell and the Nest Secure alarm system. The Google company also reintroduced the long-anticipated Linus Lock, now called the Nest Yale Lock. What was once a limited lineup of six standalone products is now a fairly comprehensive home security and safety suite. This all happened really fast by Nest standards. It took the smart-home manufacturer roughly six years to churn out its first six products; everything else was announced (or redebuted, in the case of the Nest Yale Lock) at a single press event. Suddenly, Nest isn’t only offering a potential solution for your janky, old thermostat. Now it’s a whole Google-backed home security and automation system. Here’s everything you need to know to make sense of the new Nest smart home. Nest Cam IQ Outdoor – Cost, $349. Available for preorder now, shipping in November. Like the Nest Cam IQ Indoor, the IQ Outdoor has a 4K image sensor, 1080p HD live streaming, a motion sensor, two-way audio, free Person Alerts and optional Familiar Face Alerts with a Nest Aware cloud subscription. Nest Hello – Cost, TBD. Available in early 2018. The Hello is Nest’s first video doorbell. Complete with HD live streaming, motion detection, free Person Alerts and optional Familiar Face Alerts, Nest’s inaugural buzzer has a lot of the same smarts as its IQ product line. Nest Secure – Cost, $499. Available for preorder now, shipping in November. Nest’s Secure alarm system is another new venture for the smart-home brand. Rather than sticking to standalone products, they’re now offering this bundled security kit. Secure includes a Guard hub (with 85-decibel siren), two Detect door/window sensors and two Tags for quickly arming and disarming the Guard hub. Nest Yale Lock – Cost, TBD. Available in early 2018. We first wrote about the Nest Yale Lock in 2015, when it was called the Yale Linus Lock. Nest hasn’t had much to say about the Linus in recent years, except that it was still in development. Now, it seems, Nest is *nearly* ready to bring this device to market in partnership with lock maker Yale. While you always had the option of buying multiple Nest thermostats, security cameras and smoke detectors to suit the size of your home, various heating and cooling zones and more, there was no central hub to manage everything. Instead, the app served as the main point of entry where you’d configure your Nest devices and make any necessary adjustments to settings. The app isn’t going anywhere, but the Secure system gives Nest a hardware hub. That doesn’t mean you have to buy it, though. What size Nest suits you best? As always, you can buy any of Nest’s standalone products and manage them via Nest’s web and mobile apps. That means one thermostat, one lock, one doorbell — whatever product you need for your home. But, if you’re in the market for a more complete security system, Nest can now handle that too. Standalone devices: Snag a single product for a single use case in your home. That’s anything from the $99 Nest Protect on up to the $349 Nest Cam IQ Outdoor (shipping in November). Configure it in the Nest app, and happily forget about the rest of Nest’s product lineup. Entry-level security system: We’re reserving final judgments until we actually get to test Nest Secure, but, Nest’s new $499 alarm system might be right for you if you want a basic DIY home security system. Arm and disarm the siren-equipped hub based on your home and away schedule — and use the Detect open/close sensors and the Tag arm/disarm sensors for additional monitoring. Sign up for Nest’s optional professional monitoring service through Moni if you want someone else keeping an eye on your home as well. Security and standalone devices: Here’s where you get to experience most (or all) of the Nest lineup — a Nest Secure system, coupled with other Nest accessories. Have your Nest cams record video footage to complement your Nest Secure system. Let your Nest Hello doorbell communicate with your Nest Yale Lock to control the door. Pricing will vary based on the specific product combination you choose, but it would start around $600 for a $499 Nest Secure system and a $99 Nest Protect smoke detector. Note: You can also add additional Detect open/close sensors ($59) and Tag arm/disarm sensors ($25) to your Secure system as needed. Get more Nest product pricing info here. ✔@meganwollertonHere’s what 85 decibels sounds like. While Nest is doing interesting things with home security (particularly by sticking facial recognition tech in outdoor cameras and doorbells), I’m not yet convinced Nest Secure adds much to what’s already out there. DIY systems like Abode, Scoutand Simplisafe have been around for awhile and offer a lot of the same features as Nest’s Secure (and, in some cases, for less money). Again, we’ll have to test out all of Nest’s Secure to be sure, but $499 sure seems like a lot to spend on a hub and handful of sensors. Do you live in a homeowners association where snowy weather leads to snow plowing your private roads during the winter months? Preparedness is paramount when it comes to being on the road. With an increased risk of potential driving hazards like sleet, snow, strong winds and frigid temperatures, it’s a good idea to think about ways to ensure you’ll travel safely. Invest in an emergency kit for your vehicle. Available at most major retailers, these kits are relatively inexpensive and contain items like flares, booster cables, flashlights, ponchos and first aid supplies for minor injuries. Develop a contingency plan. Create a strategy for dealing with a flat tire, vehicle accident, dead battery or other potential travel delays. Keep a hard-copy list of people or businesses to contact for help should you need it. Stay in touch. Check in with a designated contact during your journey with updates on your location, delays encountered or unexpected situations that require longer travel time. When driving, remember always to pull off the road before using your cell phone. Check the local weather report before heading out. Winter weather can be tricky and forecasts aren’t always accurate. You can double check your destination’s weather history on a variety of websites to determine typical conditions to expect in that area during your travels. Store warm clothes and blankets in your vehicle. 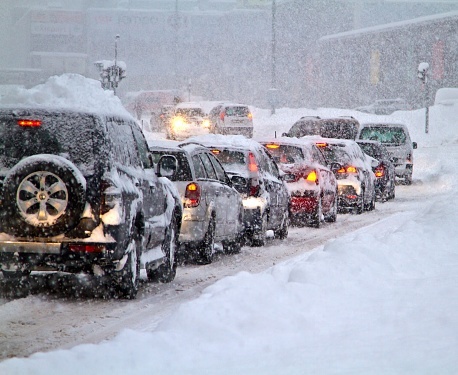 Be prepared to stay warm if you’re stuck for extended periods by keeping a blanket or two in your car. Also, pack a small travel case with snow boots, socks, gloves, a scarf, hat and heavy sweater in case you need to leave your vehicle. Review your travel route without GPS. Read through detailed driving directions, including alternate routes, so you know your options. Also consider keeping a map handy in case your navigation system is compromised during your trip. If you’re going to be away for extended periods of time, it’s also important to have trusted neighborsyou can count on in your homeowners association to keep an eye on your home while you’re gone. To learn what they should look for read this blog. STORE YOUR PASSWORDS WITH ABSOLUTE CONFIDENCE! ALLRIGHT – I GOT THIS. 100% Russian Mafia-proof ghetto street smart aint no mo fo bro gonna get into your stuff Equifax answering ABSOLUTELY HACK PROOF FILES! For just $19.99/month (payable annually for $239.88) save your files in complete security. We guarantee these files from North Korean ISIS loving Alt-Magnetic Resonance dufus scanners, multi national language variable algorythms, and guarantee that they are 100% Gluten Free (if ya don’t eat ’em). They accept both languages, American and Southern, and are available in several purdy colors. The California Legislature has passed a package of CAA-endorsed and sponsored bills intended to help solve the state’s housing crisis. Gov. Jerry Brown will have until Oct. 15 to sign or veto the bills. The legislative package seeks to remove regulatory hurdles to residential development — a key to fixing the state’s jobs-to-housing imbalance. The package also seeks ongoing funding sources for affordable housing programs, including a bond measure and fee on certain real estate transactions. Bills that increase California’s housing supply can help ease rental prices and quell calls for onerous policies such as rent control. SB 35 by Sen. Scott Wiener, D-San Francisco, would create a streamlined approval process for housing in cities that have failed to meet their housing goals. Streamlined projects would be approved “by right,” meaning they would move forward without a drawn-out review process. SB 2 by Sen. Toni Atkins, D-San Diego, would establish a permanent funding source for affordable housing through a fee of $75 to $225 on recorded documents. The bill, however, exempts residential real-estate sales. The fees would likely generate between $229 million and $258 million annually. SB 3 by Sen. Jim Beall, D-San Jose, would place a $4 billion statewide affordable housing bond before voters in the November 2018 election. SB 540 by Richard Roth, D-Riverside, would streamline the approval process to spur housing construction by having cities identify where housing needs to be built and adopting specific, up-front plans and conducting all necessary environmental reviews and public engagement. AB 678 by Assemblyman Raul Bocanegra, sponsored by CAA, and a companion bill SB 167 by Sen. Nancy Skinner, D-Berkeley, would financially penalize local governments that deny housing permits in violation of state law. AB 352 by Assemblyman Miguel Santiago, D-Los Angeles, is a CAA sponsored bill to boost construction of micro apartments. It would help prevent local governments from establishing roadblocks to “efficiency dwelling units,” which usually measure 220 square feet or less. This bill won final approval in the Legislature earlier this month and now awaits the governor’s signature. You read the headline right, there are more retail stores opening this year than there are stores closing. You may say, but when I walk down almost any shopping street, I see so many vacancies where there were previously tenants, so… how can there be more openings than closings? A new report out by IHL Group answers the question. The kind of store that’s opening now is different. If you look at the chart below, you’ll see that the most significant closings are due primarily to the Radio Shack bankruptcy and the closure of a lot of fashion stores. The fashion-related vacancies you’re seeing are dominating the list of store closures. You could blame technology for that, but that wouldn’t be entirely fair. It’s more fair to say that technology accelerated the decline of retailers who have not been in touch with what their consumers wanted as much as their competitors. Technology helps consumers see more of what’s available and that makes the comparison between brands so much more stark and apparent. Here’s a chart listing the retailers that are opening more stores than any other. Morgan StanleyVoice:Could Mexico Be Powered By The Sun? The data highlight changing lifestyles and tastes. Fashion is less important in physical retail stores. It’s being shopped for more and more online and it’s becoming less of a focus for younger consumers who are more willing to spend money on experiences than on fashion products. What’s the net difference in stores in total? The chart below tells the story (they are calling mass merchants what I call discounters like Dollar General and Dollar Tree). The discounters and convenience store openings are opening in a big way and the fashion retailers are closing almost as fast. At first glance, it’s hard to see trends in these store opening and closing numbers. For example, why is Starbucks closing stores and Dunkin Donuts is opening? Why is Pizza Hut closing stores and Noble Romans (also pizza) opening more stores than anyone else? Overexpansion – Subway and Pizza Hut have been prone to this but others also have to retrench after expanding too far, too fast. Dunkin has regional growth opportunities while Starbucks is overstored in many locations. Shrinking middle class – More families want to eat out economically. The growth we’re seeing in the low-cost dining options is fueled by that. Pizza is particularly an opportunity for families because it’s a popular food that is usually low-priced. Coffee works that way too which is why there’s more opportunity for lower-priced Dunkin to expand than there is for Starbucks. Those explanations are good and there’s more. Burger King and McDonald’s are convenient, low-cost options whose store count is declining. That’s telling us that consumers want low price and convenience but they also want newness, they’re tired of many long-established brands. In addition, casual restaurant concepts are challenged by newer brands and fresher environments that give consumers the feeling they’re new and the next big thing. Hence the decline in store numbers for Applebee’s, Ruby Tuesday, Lone Star Steakhouseand others. Consumers haven’t gone into hiding and they’re not spending less. They’re spending more and there are more new stores — but tastes have changed. One of the most important things about these changes is that they are happening faster than ever before. There’s lots of reasons for that and plenty to debate about it but there’s no way to avoid the constant adaptation that’s now required. Organizations now need to be able to process new ideas at a rate that’s faster and more efficient than ever before. If you’re a legacy retailer of any kind, it’s hard to change quickly enough and that creates an opening for more nimble competitors. It’s not enough just to have something new, it has to keep evolving. That’s a challenge both for younger companies as well as the established players and it will be for the foreseeable future.